ENTEBBE– Entebbe Police is holding a male Rwandan national for allegedly strangling own 5-year-old son Baptist Byamukama to death. Pierre Pauline 43, a resident of Zinga, Entebbe Municipality, Wakiso District choked his son to death fearing to take his parental responsibility. It’s alleged that Pauline had failed in his third marriage and was worried about his finances before he attacked his son. Following moments of depression, the suspect spent his whole evening boozing till when he went back home and strangled the little boy. When police arrived at the home, the child was unresponsive and was pronounced dead at Entebbe hospital. Upon police interrogation, Pauline admitted choking the victim by squeezing the throat. “I don’t know what had come over me, i felt possessed, strangled my son and later realised when it was too late to save him. I can confirm that i have never had any mental illness,” he said in his statement. The suspect was later subjected to a medico -legal psychiatric assessment and the report from the doctor proved he was in a stable mental state. 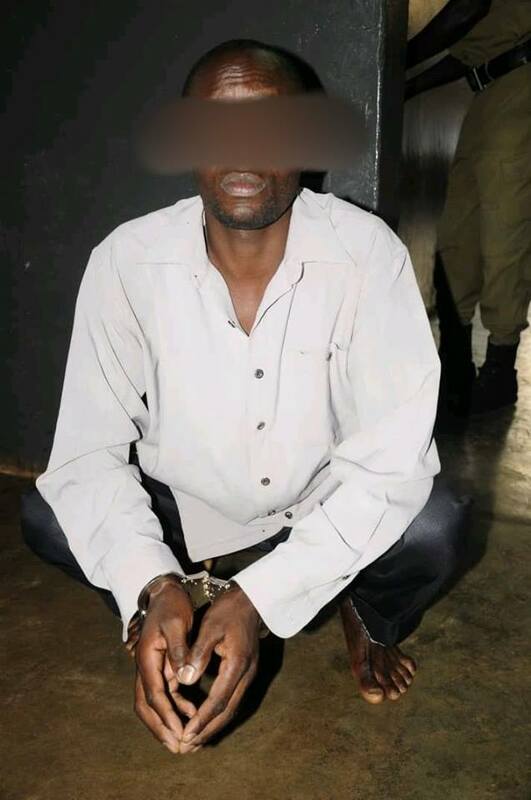 The suspect is currently detained at Entebbe Police Station on charges of murder contrary to section 188 and 189 of the Penal Code Act vide CRB 903/2018 and is to be arraigned before courts of law early this week.